Pest description and crop damage Only the surviving overwintering cutworm larval population causes damage to grapevines. Cutworm larvae injure grapes primarily in early spring at or shortly after budbreak. The larvae feed on developing buds and emerging young shoots. When primary buds/shoots are destroyed, secondary buds may emerge. Depending on variety, the fruitfulness of secondary shoots is often lower than primary shoots, leading to reduced yields. Adults are dark gray moths about 1 inch long, and wingspan is about 1.5 inches. 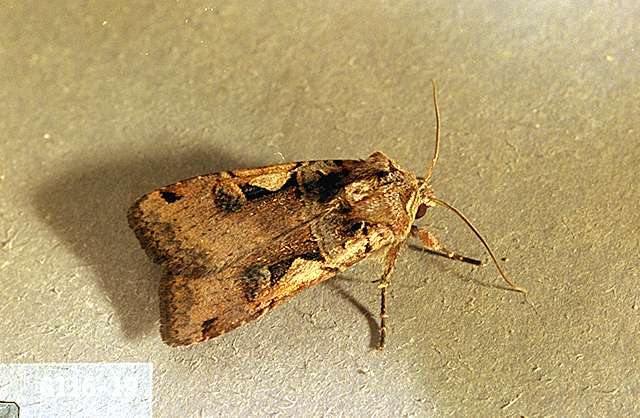 Caterpillars of these moths (cutworms) grow to about 1.5 inches long and are generally a dull gray-brown. Spotted cutworms have a row of dark, elongated triangular markings on each side of the upper body surface. Biology and life history The spotted cutworm overwinters in the soil or under debris as a partially grown second or third instar. Cutworms begin feeding on winter annual weeds during warm periods in February to March. By budbreak, they are nearly full-grown. They remain under cover during the day (in cracks in the soil, plant debris, or under rough bark on the trunk), and climb vines at night to feed on buds and shoots. Not all cutworm species in vineyards will climb grapevines. If broad-leaved weeds are available, many cutworm species will stay on the vineyard floor. Recent research indicates that most damage to grapevine buds is caused by the two climbing cutworm species, Abagrotis orbis and Agrotis vetusta. Mature larvae return to the soil to pupate. The pupal stage lasts 7 to 10 days. Moths emerge from the soil in May and June. There are one or more generations per year. Sampling and thresholds Cutworm control decisions usually are based on levels of bud injury in early spring. 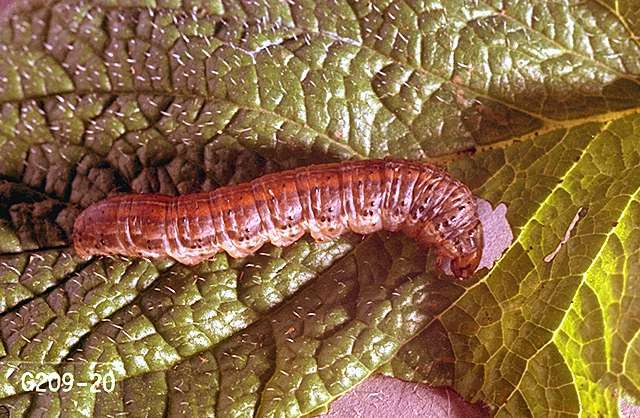 Cutworm infestations usually are localized within vineyards and often occur in the same places each year. 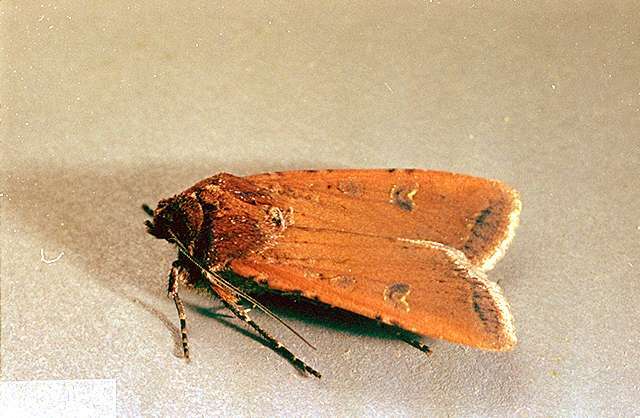 Monitoring should start during bud swell for the presence of bud feeding/injury by cutworms. Concentrate on areas with a history of cutworm damage. Randomly select 20 locations to sample. Check three vines within each location for buds damaged by cutworms (total of 60 vines). Treatment is justified when about 10 to 15% of buds in susceptible areas are damaged. Treatment of an entire vineyard is rarely needed as damage is often localized and limited in size. Continue monitoring until average shoot growth has reached 6 inches. If the population is not causing damage before this growth stage, foliar development will be sufficient to ensure adequate grape production. Natural enemies of cutworms include predatory and parasitic insects, nematodes, pathogens, mammals, birds, and reptiles. Parasitic wasps are probably the most important group, but predatory beetles and parasitic flies are also important in biological control. Retention of broadleaved weeds in spring may help reduce cutworm damage, while mowing or removing these weeds at this time can increase it. Bacillus thuringiensis (Bt)-For most effective control, apply when the first tiny worms appear. Apply weekly until threat subsides. Some formulations are OMRI-listed for organic use. Barrier sprays to grapevine trunks and to posts, with fenpropathin or bifenthrin, are the preferred control strategy for cutworms. Apply barrier insecticides to the trunks, wire, posts, and the ground immediately beneath the vines, avoiding foliage as much as possible. bifenthrin (Brigade 2 EC and other brands) at 0.05 to 0.1 lb ai/a. PHI 30 days. Apply to trunks and posts in early-mid March. Thorough coverage is essential to get control. Do not apply more than 0.1 lb ai/a per season. Group 3A insecticide. Restricted use pesticide. fenpropathrin (Danitol 2.4 EC) at 0.2 to 0.4 lb ai/a. PHI 21 days. Apply to trunks and posts prior to emergence of the soil to feed on buds prior to budbreak (early-mid March to April, depending on location). Do not use more than 0.8 lb ai/a, and no more than two times per season to avoid resistance. Group 3 insecticide. Restricted use pesticide. carbaryl (Sevin 4F and other brands) at 2 lb ai/a. PHI 7 days. REI 6 days. Do not apply more than 10 lb ai/a per year (no more than 5 applications). Toxic to bees; do not apply when bees are foraging. Group 1A insecticide. 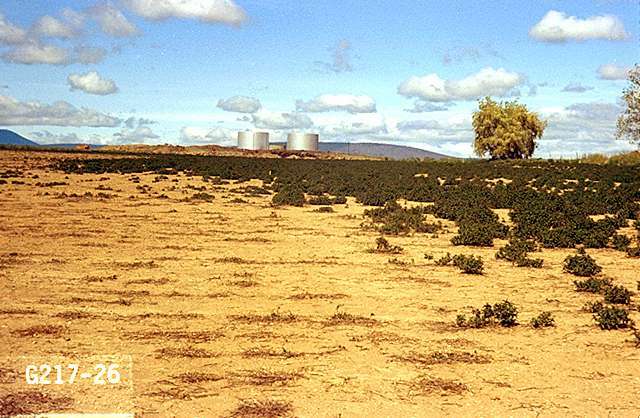 chlorpyrifos (Lorsban Advanced) at 0.94 lb ai/a as a banded application to the base of vines in at least 50 gal/a water using power-operated ground spray equipment. Use in Idaho and Washington only as 24c labels allow use in grapes (ID-010004 and WA-090002). PHI 35 days in Washington. Do not apply after bloom stage of growth. Do not exceed two applications per season. Do not apply this product through any type of irrigation system. Restricted use pesticide (organophosphate insecticide). Group 1B insecticide. phosmet (Imidan 70W) at 0.7 to 1.5 lb ai/a. PHI is dependent on rate - check label. REI 14 days. Do not apply more than 4.55 lb ai each year This is an organophosphate insecticide and use should be limited. Group 1B insecticide. 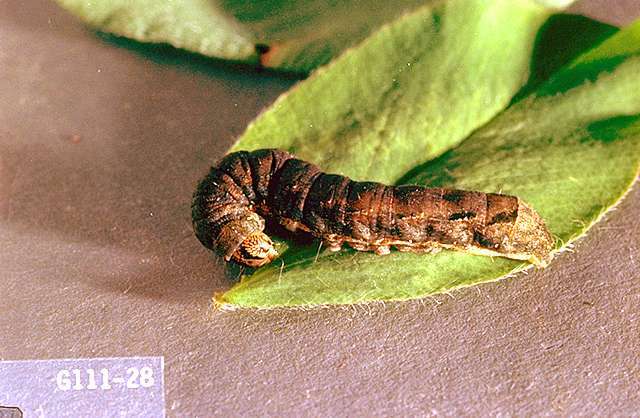 Although cutworm is not listed on the label, it is an effective and legal use. spinetoram (Delegate WG) at 0.047 to 0.078 lb ai/a. PHI 7 days. Treatment interval with this pesticide is 4 days. Do make more than 5 applications per season (not to exceed 0.305 lb ai/a per year), and do not use more than 2 consecutive applications. Group 5 insecticide. spinosad (Success or Entrust) at 0.063 to 0.125 ai/a. PHI 7 days. Treat when pests appear. Heavy infestations may require repeat applications. Do not exceed 0.45 lb ai/a per season. Do not make more than two consecutive applications to avoid pesticide resistance. Allow at least 5 days between applications. Entrust is OMRI-listed for organic use. Success is not listed for organic production. Group 5 insecticide. Note: Bifenthrin, carbaryl, chlorpyrifos, fenpropathrin, methomyl, spinetoram, spinosad and phosmet are broad-spectrum insecticides and their use on foliage may adversely affect beneficial insect and mite populations, resulting in secondary outbreaks of spider mites and other pests. Apply sprays late in the day to maximize contact toxicity to the nocturnal larvae.